Trio, the newest social media craze? #NerveDJs has inked a deal with Trio, TRIO is a new app that is trying to be the next social media craze. The app is a mash up of all sorts of social media sites like Instagram and Vine. This app has lots of potential to be the next big thing. A new social media app has recently been released and is ready to take the masses by storm. Trio, the newest app on Ios, was released on March 4th and is ready to give apps like Vine and Instagram a run for their money. Trio is an app that was designed to make it “easy for ordinary people to make awesome things…” said Misha Leybovich, the creator of the app. 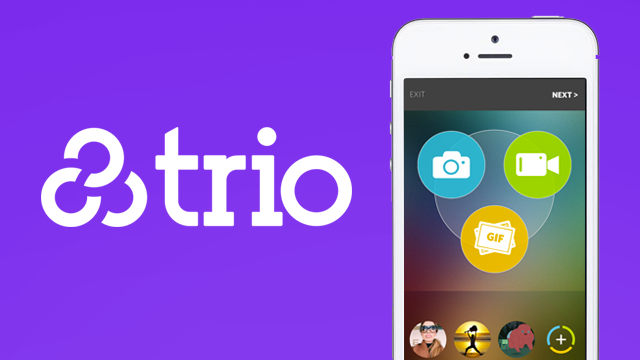 Trio shares many traits with Facebook, Instagram, Vine, and much more, so it has something for everyone. These traits give the app a feeling of being overwhelmed with information, but it does a great job of not over-complicating posts or sharing links. Trio is also a unique app because it allows its users to show their creative side by allowing them to make interesting memes, gifs and videos. The creators of Trio are passionate about their app and its new users; they also make app improvements based on positive and negative feedback from their users. However, Trio is currently only available on Ios, but is scheduled for an Android expansion around the end of the year. Trio is fairly new to the app store, but has a bright future with endless potential of improvement. Currently only on iPhone with the Android version coming within a few months. Be patience, as soon as it drops I will send out our Link.